In a perfect world, nothing bad ever happens and burglars don’t exist, but unfortunately, we don’t live in a perfect world. This means that it’s possible for your home to be broken into. 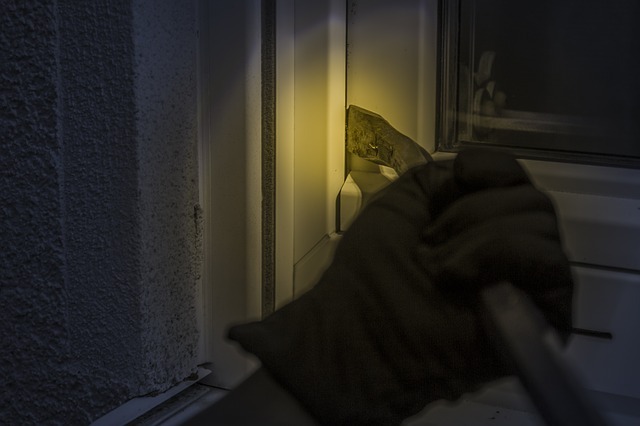 Burglars aren’t usually amateurs which means that they know what to look for. Three things they usually look for when selecting a prospective home to break into are canvassing the are, looking for entry points and knowing what type of items to take once they are in. Here are some ways to make your home more secure with and without adding home security systems. There are many ways that a burglar can get into your home. The most common entry point is by the back door. The reason being is that most backdoor locks are low-tech, and burglars can use a bump key to enter. If this doesn’t work then the back door can be forced open with little detection as it is out of site from most. Windows are the second most common entry points. In most cases, a burglar can simply use an unlocked or open window to enter your home. Other times they will break a window that cannot be seen by the neighbours or the street. Since burglars are looking to make a lot of money while not getting caught, they are looking for valuable items that they can grab fast. Many times, house and car keys are common things that burglars take. Bags and purses are also very common, as in most cases the burglar is hoping there is money in them, or that the bag will have other valuable items inside. Mobile devices, tablets, and laptops are also frequently stolen, but this is becoming more popular in coffee shops and other areas outside of the home. Jewellery and other bags are popular items as well, as they are easy enough to sell. There is no way of completely stopping your home from being broken into. However, there are measures that you as a homeowner can take to lessen the likelihood of becoming a victim of burglary. Some prevention methods that you can take are to update your locks, set up a neighbourhood watch and maintain the outside of your home. Even with these measures, no matter what steps you take, home security systems are the best burglar deterrents. In the chance that they still target your home, a monitored home security system ensures that the keyholder and garda are notified immediately of the break-in. Atom Alarm Systems has over 25 years experience installing both residential and commercial alarm systems. We provide top quality product, professional installation of monitored alarm systems and excellent customer service. As a locally owned Dublin business, we provide our customers personal support and care while delivering the most advanced security technology on the market. © Quince WordPress Theme Demo by MNKY Studio. All Rights Reserved.